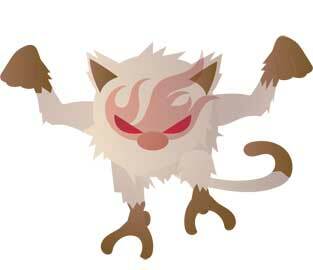 #217 Ursaring used Hyper Beam and Scary Face in the Game-Art-HQ Pokemon Gen II Tribute! Chris got my attention back in November 2015 with his tribute to The Binding of Isaac that looked similar scary and I am glad he joined this project and returned for the illustration of Ursaring this year. 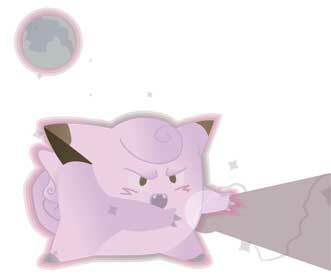 PluviantLaChance from the USA joined GA-HQ with his takes on Clefairy, Geodude and finally Mankey. 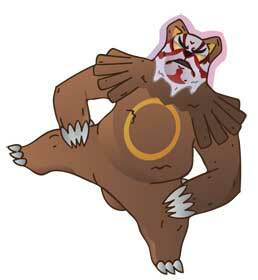 In March 2017 he was one of the first artists that claimed 3 of the 200 available new Pokemon slots and started with Quilava, joined by Elekid and Ursaring. 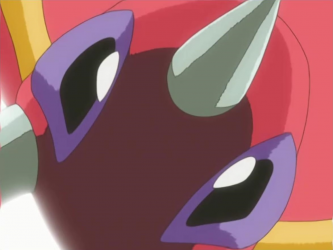 Scary Face is a normal type move in which the user makes a scary face at its opponent in order to intimidate them, which reduces their speed stat by 2. 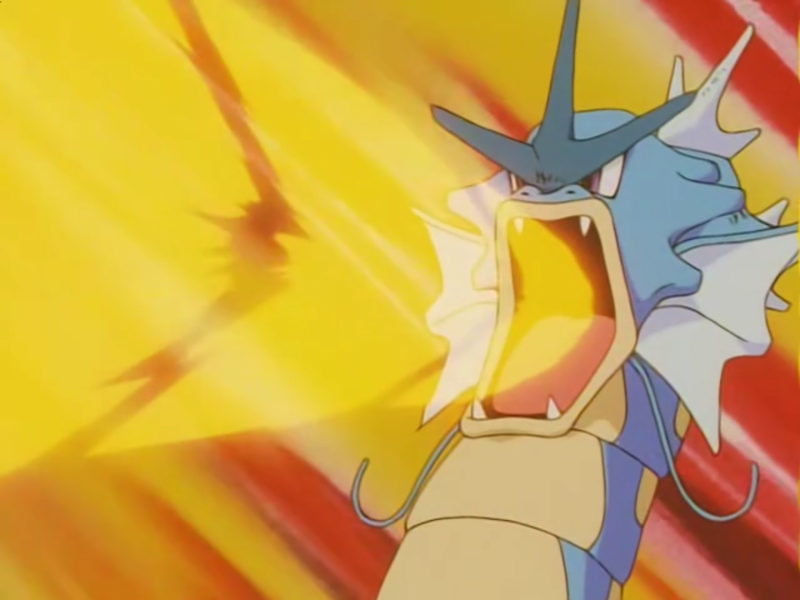 This is a move that cannot be taught though TM and one that can only be learnt naturally by specific Pokemon or by breeding it as an egg move onto certain ones. 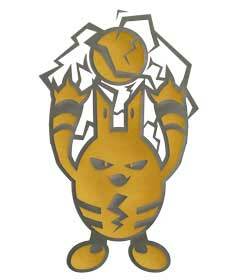 In the generation V games both Scary Face and Glare had identical appearances. 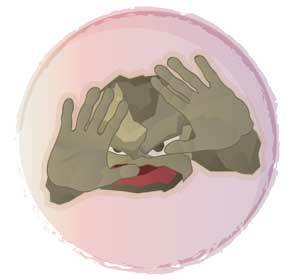 The accuracy of this move was changed to 100% from generation V onward. 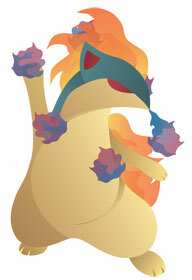 One of the moves that were not picked for our Generation I Tribute while four artists took it for Gen II Pokemon! 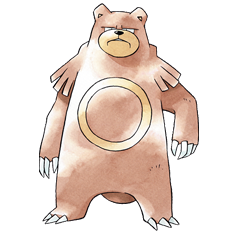 Ursaring is a Normal-type Pokemon that resembles a bear and can evolve from Teddiursa starting at level 30. 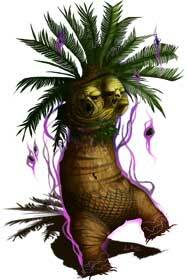 It can often be found in mountainous forests, gathering food throughout the day and sleeping in treetops. 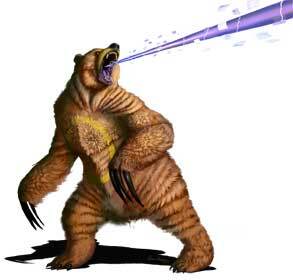 It’s name is a mix of ursa which is Latin for bear and ring, resembling the ring marking on its stomach. 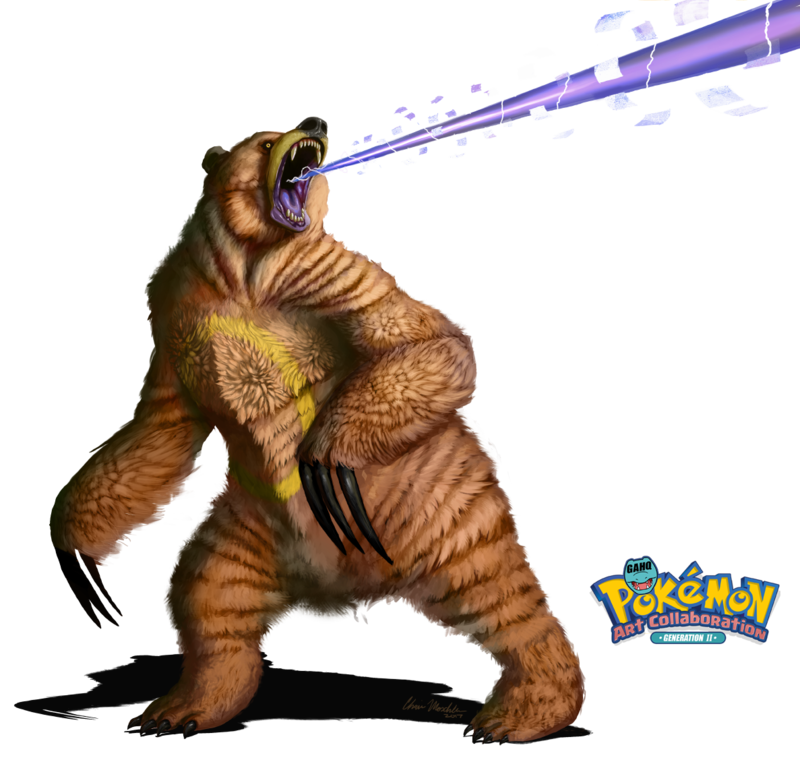 The shiny form of Ursaring is bright green. In the Pokemon anime, Ash’s rival, Paul owns an Ursaring that he caught while it was chasing Ash and his friends. Ursaring were also seen to be living in Celebi’s forest in the Pokemon movie ‘Celebi: Voice of the Forest’.